good quality plug & play 3D printers on the market, accessible for a wide audience. Over 25 years ago we didn’t even know what we could do with a 2D printer, and now we’re already in full development of 3D printers. The companies or households that do not own a 2D printer, for printing text and images, are probably only a handful. Will the same go for the 3D printer within 20 years? That’s hard to say, but it’s a fact that professional 3D printing will then no longer only be for large companies. 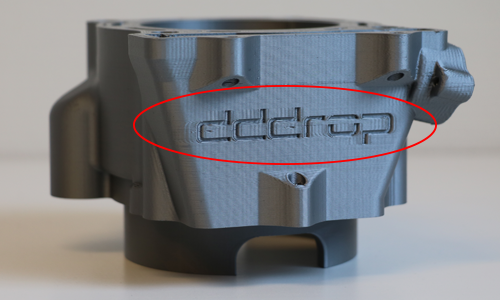 When we’re talking about 3D printing, we differentiate three main techniques and therefore printer types. With all of these techniques, the product is built up out of separate layers. The computer ‘reads’ these layers from digital slices of the 3D CAD design. For creating functional parts, SLS and FDM are the preferred methods. Additionally, there are SLA printers available to produce products with a very smooth surface, high precision and functional mechanical characteristics. FDM is the most popular and accessible technique for creating products. We can divide the current 3D printer market into three segments: the high, middle and low segment (the last one being the hobby printer). The hobby printers are available in several web shops, with a price ranging from €250,- to €3000,-. These printers generally do not have a closed casing and therefore are very sensitive to the environment. Nice to have for home use, but when the product is meant for prototyping or small series it is advisable to switch to a printer in the middle or high segment. The printers in the middle segment are priced between €4000,- and €20.000,-. These printers are well developed machines with many possibilities, but still easy to use. The supplied software will automatically convert your 3D models to printable files. 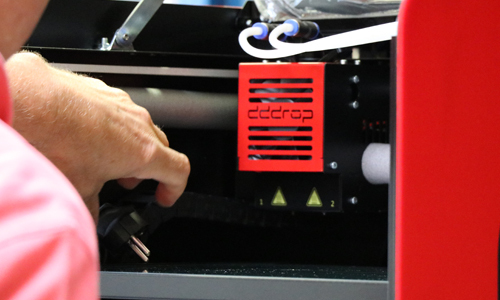 Especially the printers with a closed casing and an open filament system can be used for numerous applications. Lastly, there are the printers in the high segment. This includes the printers with prices over €20.000,-, which is a large investment. It’s therefore important to determine what the printer can do for your company and how much it will actually be used. You do fantasize about owning a 3D printer, but the question remains whether it’s worth the investment. 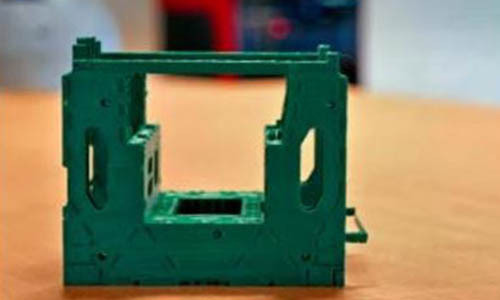 A 3D printer is mainly an advantage in three parts of the development and production process; with prototyping, when producing small series and for creating ‘new’ shapes that are not feasible with traditional techniques. 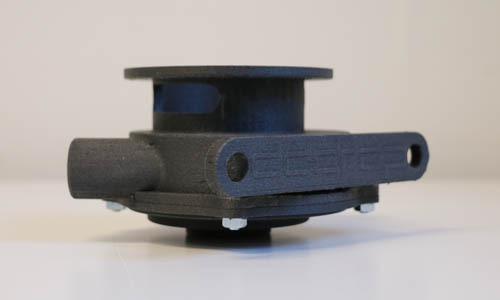 More and more companies discover 3D printing as a useful tool for making prototypes. The biggest gain is time. You no longer lose weeks on making scale models or waiting for an externally produced product. With your own 3D printer you can start the print when you leave in the evening and the next day your scale model or product is finished. The current, traditional, production methods are mill-turn and injection molding techniques. For small batches, these techniques are very expensive. When you for instance only need 50 pieces of a certain part, it is much cheaper to print these yourself. Moreover, you have very little risk of stocks. You just turn on your printer and there the parts are. 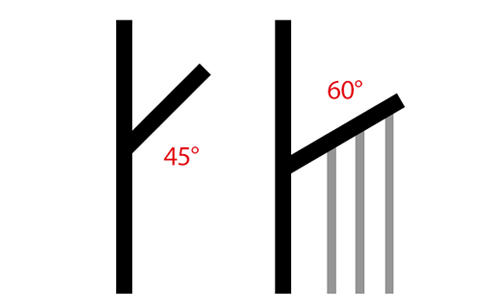 The traditional production techniques are limited in creating certain shapes. Hollow products for instance, are easily produced with a 3D printer. This means your designers will have less limitations in the development and production process. 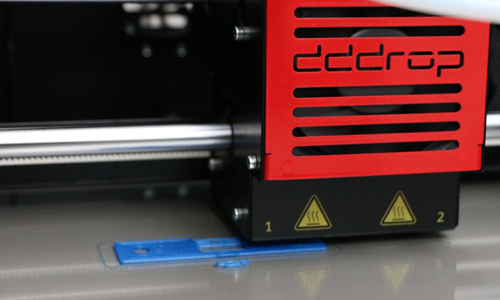 Curious what a 3D printer can do for your company, without a too big investment? Have a look at dddrop.com or contact us for an informal consultation: info@dddrop.com or +31 314 377 050.